The Korg Volca Drum is the latest addition to the volca series. 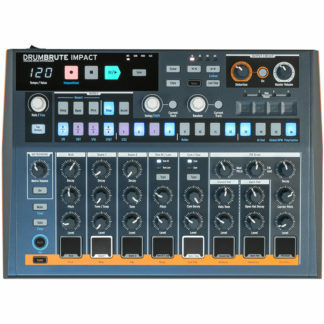 Bringing digital synthesis to your precussion setup. 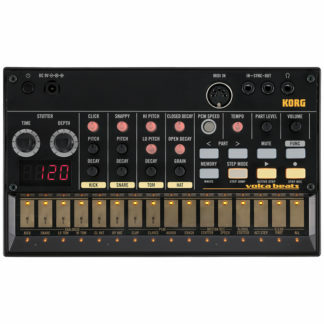 Ideal for live or studio applications. The Korg volca series is all about unique sound. 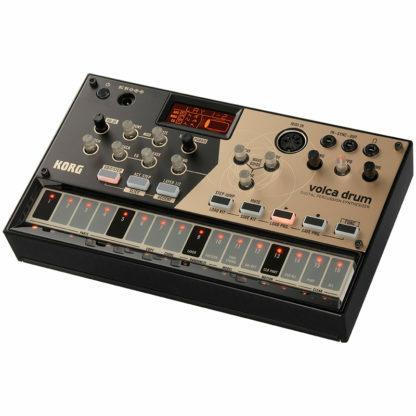 Whether it’s analog, PCM, or FM, the volca series puts unique sounds into an accessible platform. And now, the series is joined by a new rhythm machine that brings yet another sonic character. It’s the Korg volca drum digital percussion synthesizer. You can customize the resulting trigger waveform by applying bit reduction to produce roughness, adjusting the wave folder depth to add complex overtones, and using overdrive to adjust the distortion. 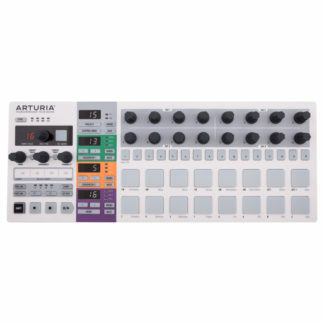 In this way, you can generate distinctive sounds from this sound engine that’s structured rather differently from a typical drum machine. 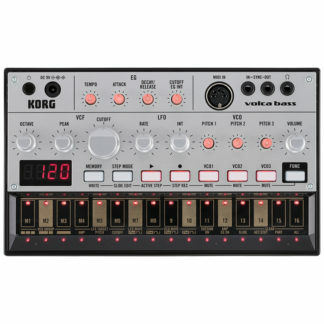 Once you’ve specified the sound, you can adjust the balance of the parts by modifying the timing at which steps are heard, the pan, the gain before mixing, and the effect sends. 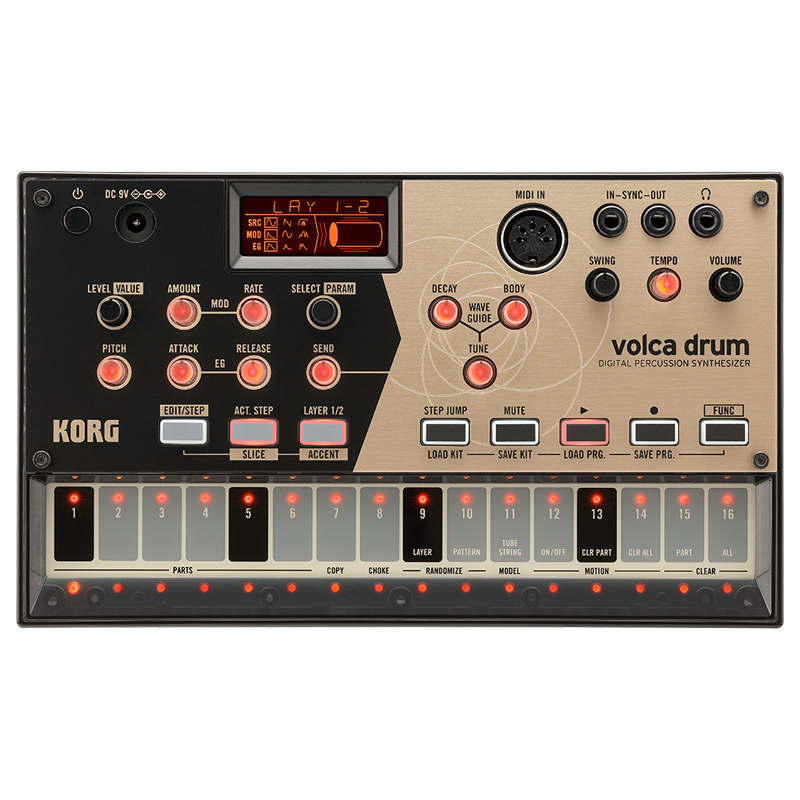 In addition to simply playing a drum pattern, you can use the motion sequence function to memorize knob operations during realtime recording and reproduce them during playback; a total of 69 different parameters can be memorized. This is useful not only when you’re creating your patterns, but can also contribute to live performances that overflow with originality. Up to 16 sequence programs (16-step sequencer patterns, stored motion sequences, kit number) can be saved in internal memory.